End-of-trip that set a standard. 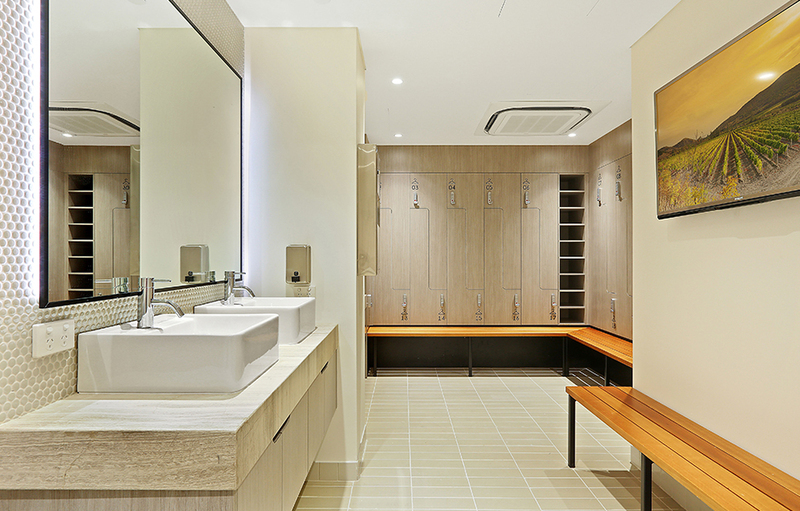 Arcadia presented a brief to reinvigorate their existing, cramped and limited service bathroom space by creating appealing end-of-trip facilities with a wide complement of services. 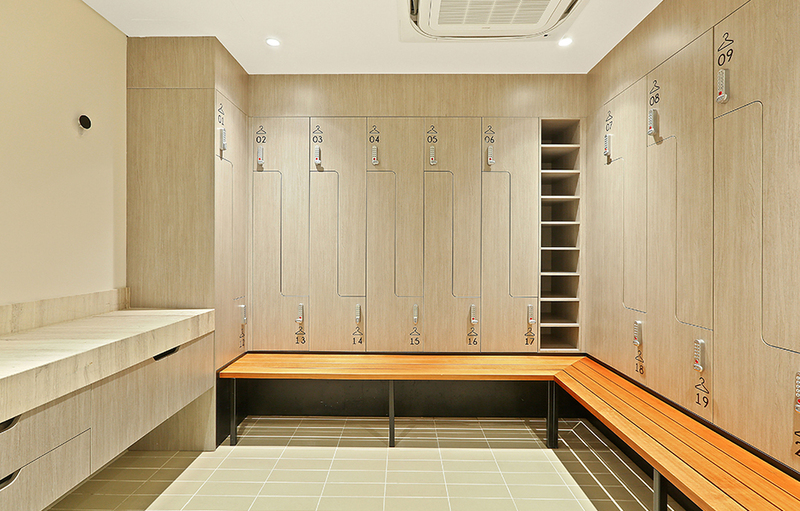 The end result had to be a welcoming and refreshing space and be respectful to the building’s unique heritage in Sydney CBD and an end-of-trip facility that would match any premium building EOT offering. Working closely with the client, Valmont designed and constructed a space that integrated high quality male and female bathrooms, shower facilities, change rooms, vanities, ironing space, lockers, drying racks and bike racks, all using premium materials including stone for vanities and solid timber for bench seating and mirror frames. The result surpassed the objective by including luxury touches such as high definition TV screens running Foxtel in each change area. Fundamentally, the design was planned to ensure full compliance with DDA and building accessibility codes and we surpassed NABERS rating by installing additional showers. This was all achieved while remaining sympathetic to the heritage of the building, and as a firm nod to its Australian history, Australian materials were sourced wherever possible. The overall result is a sleek, modern facility that has a timeless aesthetic coupled with great functionality for the tenants of the building. Arcadia was established in 2002 by its founding Principals and Joint Managing Directors Stephen Newton and Hamish Flett and has grown over nine years into one of Australia’s leading boutique institutional real estate Investment Managers and Advisers.